Planning a Trip? Book an Ultra-Portable Laptop! If you’re planning to travel soon, whether for business or pleasure, you might be considering purchasing an ultra-portable laptop. These laptops are great for checking email, web-browsing, and performing business-related tasks, and are easier to travel with because they are so much smaller and lighter than a standard laptop. Fortunately, if you’re not sure about making the purchase, you can always rent an ultra-portable laptop for your trip. By renting the laptop you can test it and see if it is an investment you want to make, or if you only plan to use it once or twice a year, you can avoid paying full price. Ultra-portable laptops can weigh as little as three pounds which makes them perfect for carrying along on your vacation or business trip. They can handle a number of applications, and just like a standard laptop, they utilize the latest versions of Microsoft Windows. Despite their small stature, ultra-portable laptops are sturdy and reliable. With an ultra-portable laptop you can connect to any wireless internet connection or network in any location at any time. Smart Card readers, Trusted Platform Module 1.2, and an optional fingerprint reader can help keep your information safe and secure and come integrated into your ultra-portable laptop rental. In addition, your ultra-portable laptop rental can come with an Intel Core 2 Duo processor which helps it perform many common business tasks. They can also come equipped with 2GB of DDR2 memory which helps when running multiple applications and programs. You can opt for models with an Intel Graphics Media Accelerator 950 if you’re looking for quality graphic performance or diverse display options. If you want to take your computer’s portability even further, you might want to consider an iPad rental. iPad rentals are great for travel because they are small and sleek and allow you to stay connected. They have built-in eReaders, 3G, and Wi-Fi, and you can rent them with 16, 32, and 64 GB of hard drive space. If you’re planning a trip and need to stay connected, contact your Tech Travel Agent today! 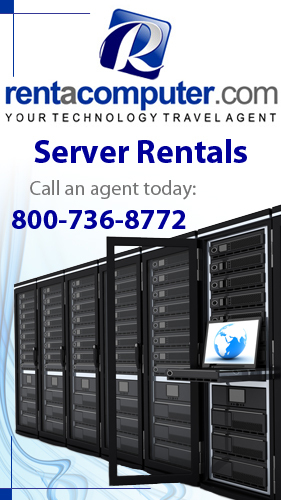 They can get you a fast quote on an ultra-portable laptop rental and serve all of your temporary technology needs for your next vacation or business trip. For more information, visit TechTravelAgent.com or call 800-736-8772 today! 2 comments to Planning a Trip? Book an Ultra-Portable Laptop! Wow the laptop looks so beautiful.I love my ulta-portable laptop.It was given to me by my father.Am a lady who loves traveling alot and when am with my laptop.Am so happy and more to that i have now backed up my laptop online with an online backup called safecopy backup.